We still have a lot to learn about honeybees and how to help them overcome their current alarming losses. Haven’s development has been dependent on valuable input from the following researchers serving on its advisory board. As the network grows and collects data it will begin to yield information that may help these and other scientists make new breakthroughs. Haven’s primary advisor, Thomas D. Seeley is Professor and Chairman in the Department of Neurobiology and Behavior at Cornell University. 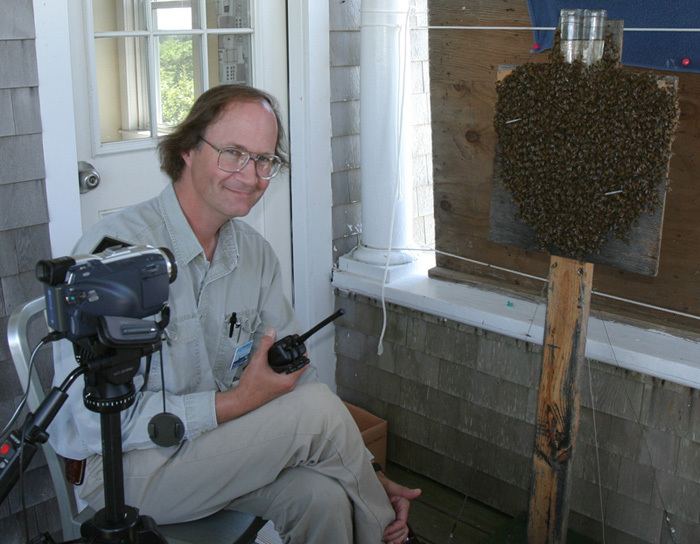 He is a world authority on animal behavior, especially the social behavior of honey bees. 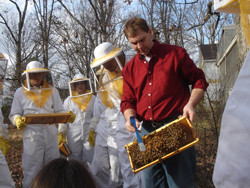 At home more in the field than the laboratory, his scientific work features observational and experimental investigations of the inner workings of honey bee colonies living under natural conditions. A member of the American Academy of Arts and Sciences, he is the recipient of numerous honors for his scientific work including a Guggenheim Fellowship, the Alexander von Humboldt Distinguished U.S. Scientist Award, and a Gold Medal from Apimondia for his book The Wisdom of the Hive. Dr. Deborah Delaney, a post-doctoral researcher in the N.C. State College of Agriculture and Life Sciences, is collecting feral bees across North Carolina. Delaney plans to study the DNA of the bees she has collected. 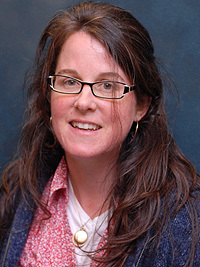 When she was working on her Ph.D. in 2004 and 2005, Delaney analyzed the DNA of feral honeybees collected throughout the Southeast between 1980 and 1992.”We found that the feral population and the commercial population are actually very distinct genetically,” Delaney says of that earlier study. She hopes to learn from the study in which she is now engaged whether that is still the case. And if that’s the case, is there something about feral bees that makes them better able to withstand the various assaults to which bees have been subjected? Our lab studies the behavioral ecology of insect societies, with a primary focus on the proximate and ultimate mechanisms of honey bee queen behavior. In doing so, we attempt to address questions of basic science that have practical relevance. Our approach is to integrate a general understanding of bee biology to help improve overall colony health and productivity; in an era when the honey bee population is being severely impacted by any number of factors, we feel that it is necessary to become more proactive in asking questions that address not just basic (long-term) or applied (short-term) questions, but both.